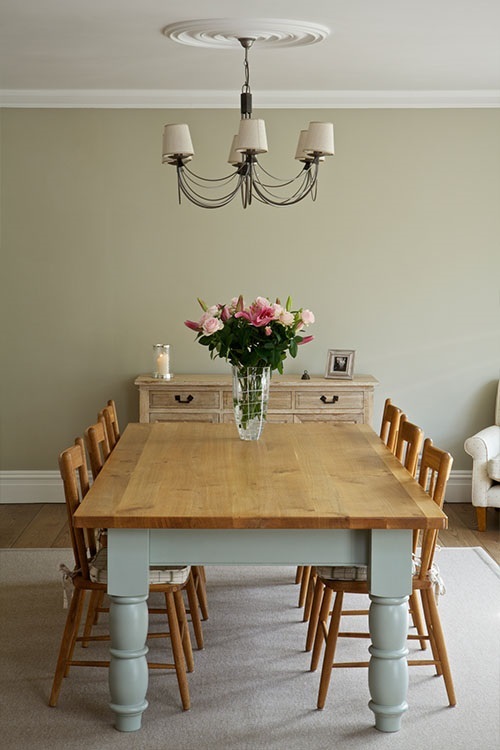 Strong colours can work wonderfully in dining rooms, creating a dramatic, intimate atmosphere that’s perfect for entertaining. 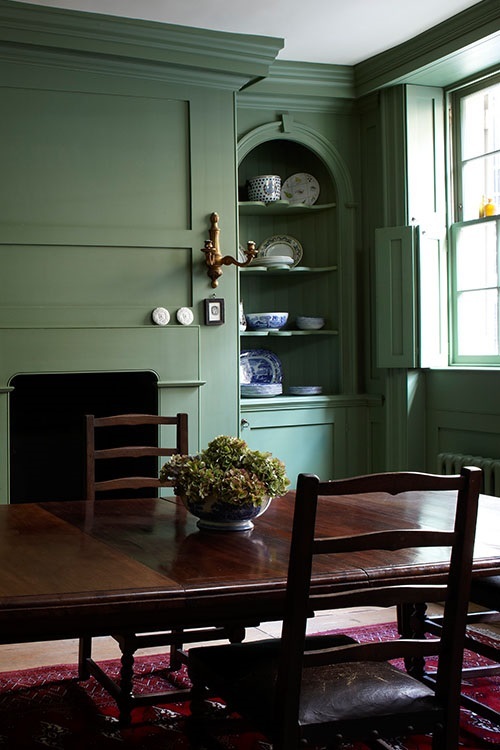 Rich tones like ‘Brinjal’, ‘Calke Green’ and ‘Railings’ work especially well in dining rooms that are often lit by candlelight. These rich, velvety tones are intensified by candlelight and take on a wonderful jewel like quality. 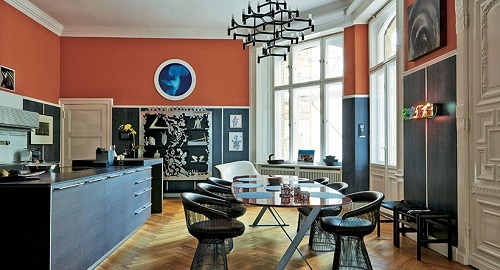 In dining rooms with a more informal feel, it works well to add stronger colour as an accent. Try painting the floor in bolder tones like ‘Radicchio’, ‘Pelt’ or ‘Mole’s Breath’, to add strong colour without dominating the space. To create a sophisticated, but more everyday look consider layering the neutrals to give the scheme real depth. 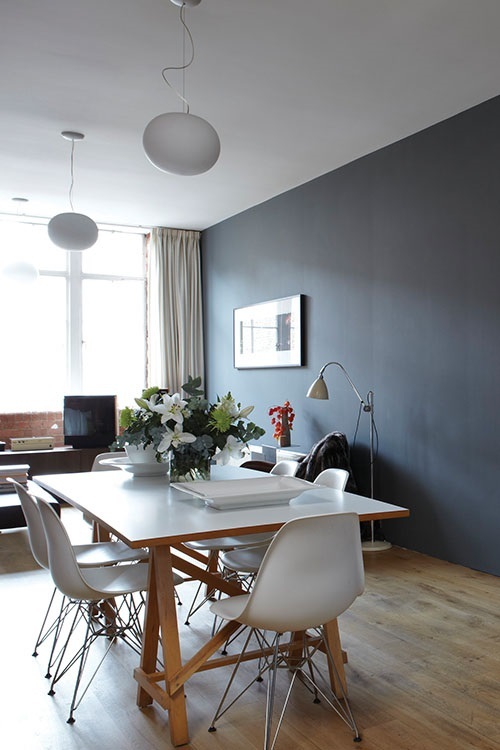 Try ‘Slipper Satin’ on walls with ‘Hardwick White’ woodwork, and ‘Pigeon’ on the chairs. Add some pattern to this scheme by using ‘Brocade’ BP3208 or ‘Yukutori’ BP4303 on a feature wall, or even as a table runner.